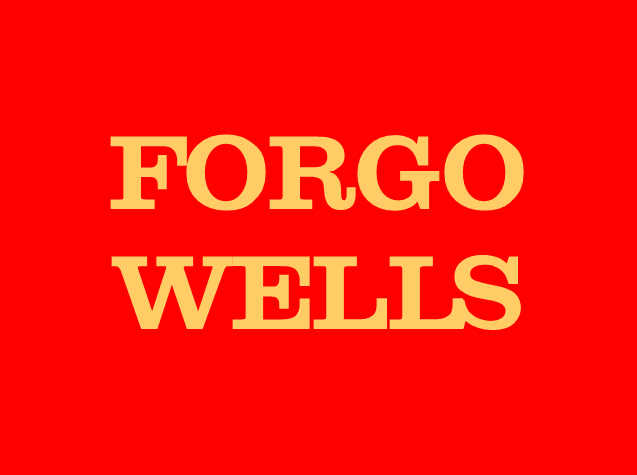 You may receive updates from Forgo Wells, the sponsor of this petition. Sign Our Petition to Hold Wells Fargo Accountable! Well Fargo is having its annual shareholder meeting on April 25th at a golf resort on an island off the coast of Jacksonville, Florida. Since community leaders shut down its shareholder meeting in 2012, the bank has gone to great lengths to hold its shareholder meeting in obscure, faraway places so that its executives can hide from the families whose lives they destroy year in and year out. We want to send a clear message to CEO Timothy Sloan and other Wells Fargo execs: You can run, but you can't hide. We will find you wherever you are and force you to come face to face with the lives you have wrecked. Please join us for a #ForgoWells day of action across the country on April 25th at Wells Fargo branches in communities all across the country. You have made a business model out of preying on communities of color, exploiting working families, and destroying the planet. We join concerned shareholders in demanding change. Your $467 million in investments in companies building the Dakota Access Pipeline threatens the water, lands, sacred sites, and burial grounds of Indigenous Nations. Your underwriting of predatory bond deals to Puerto Rico is responsible for the severe cuts to public services and education that have sparked the student strike at the University of Puerto Rico. Your record of discriminatory mortgage lending, financing private prisons, immigrant detention centers, and payday lenders, and funding the militarization of local police departments by supporting police foundations has devastated Black and Latino communities across the country. When Wells Fargo workers organizing with the Committee for Better Banks blew the whistle on your illegal sales practices and culture of corruption, they faced intimidation and retaliation from management. Your executives tried to hide the scandal for years by using forced arbitration agreements, which make it impossible for consumers or workers to sue you and get a fair day in court. Although then CEO John Stumpf was forced to resign when news broke that you had committed “two million felonies” by opening fake accounts without customers’ consent, the majority of the directors and executives who had been responsible for overseeing your operations remain in their positions. Your fraudulent accounts scandal is just the latest outrage to which these directors and executives turned a blind eye. It is time for them to go. -Disclose your direct and indirect lobbying. These are common sense measures that would begin to address some of your predatory business practices. Unfortunately, all of them are opposed by your board of directors—the same directors who were asleep at the switch when workers warned them that they were being forced to break the law in order to keep their jobs. These directors are either unwilling or unable to do their job of overseeing you. Therefore, we also join concerned Wells Fargo shareholders in calling for the removal of all directors who were on the board or in management positions while you were engaged in the systematic defrauding of two million of your customers. are harmed by your predatory business model from holding you accountable in court. The harm that you have caused is immeasurable. You have upended lives, from Standing Rock to Puerto Rico, and around the globe. Many of your own shareholders are outraged. We join them in calling for you to change your ways.